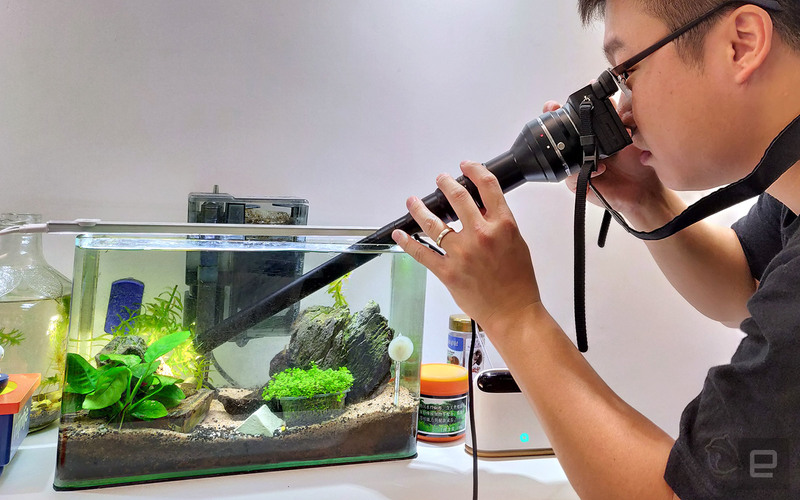 Macro probe lens isn't exactly a new idea, and in fact, it's a favorite tool amongst underwater photographers. For those who prefer sticking to the land, though, they now have an option. Laowa, a brand known for its special photography lenses, is leveraging Kickstarter to launch its 24mm f/14 Probe Lens. Given the aperture value, this piece of kit relies on its built-in LEDs at the tip of the lens, and these are powered by a micro-USB port further up the barrel (a cable with an L-shaped plug is included; reversible on both plugs). Thankfully, the lens is waterproof up to said port, meaning you can still take extreme macro shots in shallow water -- as is the case with my aquarium photos and videos. This 2:1 manual lens consists of 27 elements with an aperture range from f/14 to f/40, plus an 85-degree field of view. The standard version comes with mount options for Canon EF, Nikon F, Sony FE, Pentax K, with the cine version compatible with either Arri PL and Canon EF. I was able to quickly borrow one for my Sony A6500, and as a macro newbie, it took me a while to get used to this manual lens -- it's surprisingly hard work due to the lack of stabilization, so a small, sturdy tripod is highly recommended. I also had to keep adjusting the aperture to adapt to the LEDs' brightness. Still, I was able to capture some fun shots inside my small aquarium. 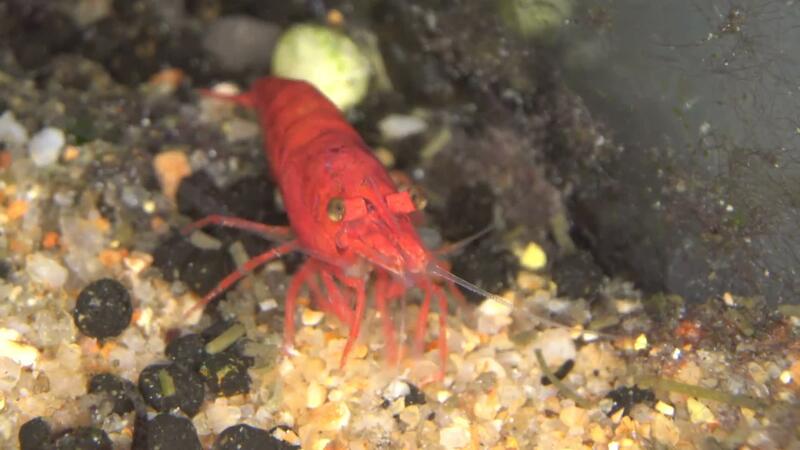 After a few attempts, the shrimps came out sharp, and there wasn't much chromatic aberration which was surprising. The results were even more impressive on video, so long as I kept the camera steady. Likewise, I had fun with some still macro shots of some moss on my potted plants; just too bad the weather had been gross, otherwise I would have loved to take the lens into the wild. For those who are interested, the lens is still available on Kickstarter starting from $1,399 (it'll retail at $1,499; add $200 for the Cine PL-mount version), and the first batch is estimated to ship in October. Head over to the campaign page for more cool sample shots.